Made in the shade in the City of Angels. Ryan DeNicola is the leader of a carnivorous paradise you might know better as chi SPACCA in Los Angeles. 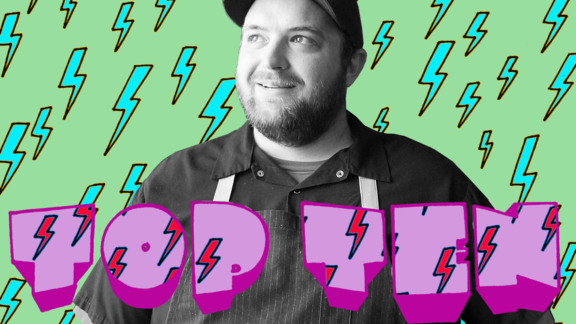 As executive chef, he wields a born-and-bred Southern Californian's affinity for both the high and lowbrow — striking a happy balance between food that makes you feel like a baller and a vibe that doesn't make you fear using the wrong fork. Your top ten favorite things in life all happen to be on his menu; his include gummy bears and baseball commentary. Potato, patatoh. Olive oil made from olives that are picked earlier. It's aggressive, abrasive, but beaming with acidity and bright flavor. A lot of my salads are dressed with just olio nuovo, fresh squeezed lemon, and sea salt. I prefer it to be from Sicily or Umbria! He argues that the codfish changed the world, that salt runs the world, and the Basques are the most interesting culture...and he's right! 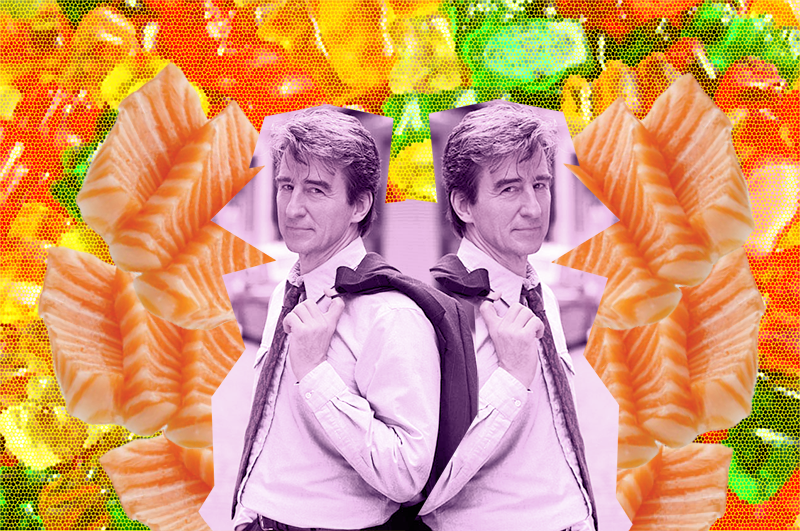 In another life, Jack McCoy was my mentor. It's probably not the world's most prestigious whiskey, but I enjoy the variety of body and texture in Japanese whiskey. My go to bottle: Suntory Hibiki Japanese Harmony! Everything they do blows me away. It's what gets me through the day. Actually: it's what gets me through life. His poetic dialogue of baseball is legendary. If you don't respect someone who's been the best at what he does for 67 years, then I don't know what respect is. It's going to be tough to listen to the Dodgers games without him next year. Sliced raw fish with simple yet minimal accompaniments. Simplicity forces the focus to be on the quality of the fish. Nebbiolo is king. They know what they're doing in Piedmonte with wine and food. They have to be Haribo brand. Tip: store them in the freezer. When you want them, thaw them out for 10 minutes. You'll thank me later. Things this mega-talented pastry chef loves, in no particular order.